Experience the history of Japan's past by cycling between the former imperial capital of Kyoto with Japan's ancient capital of Nara. The area has a history that dates back over 1,300 years to the dawn of the civilization of Japan. 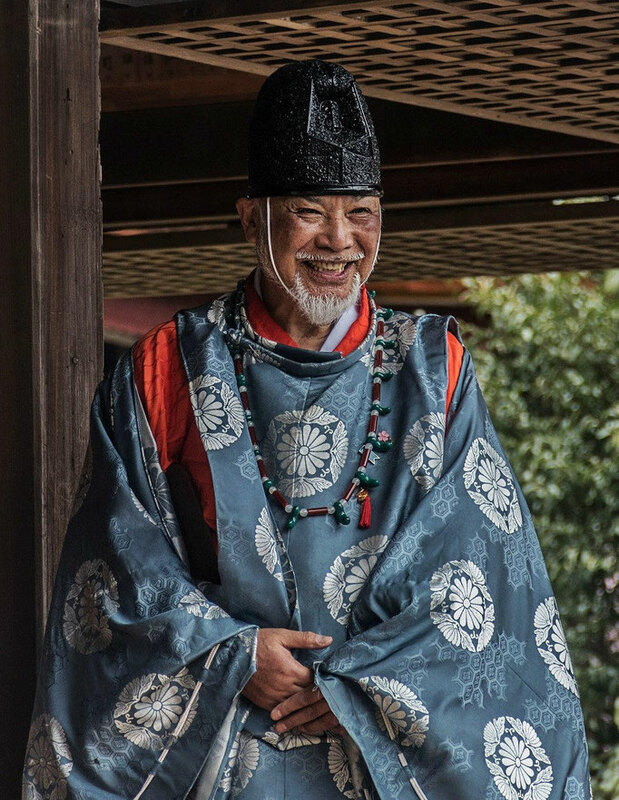 You will walk in the footsteps of Buddhist monks in thousand year old temples, of Emperors in their former regal homes and gardens, and samurai in their preserved thatched houses. 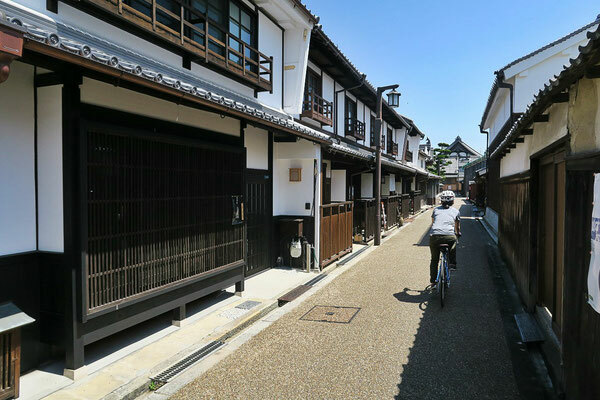 You will cycle on back roads linking gateway towns between the two areas and even cruise in to Kyoto on a traditional boat down the rapids of the Hozu River. The combination of sites and experiences make this trip particularly special. Transfer to Kameoka which is a short train ride from Central Kyoto. Kameoka was an important gateway to the imperial capital of Kyoto and where a number of Japan's greatest artists and philosophers came from. You will stay in a hot spring which helped heal a samurai from a sword wound four hundred years ago. Ride to Uji which was an ancient town that connected Kyoto and Nara via the Uji river. 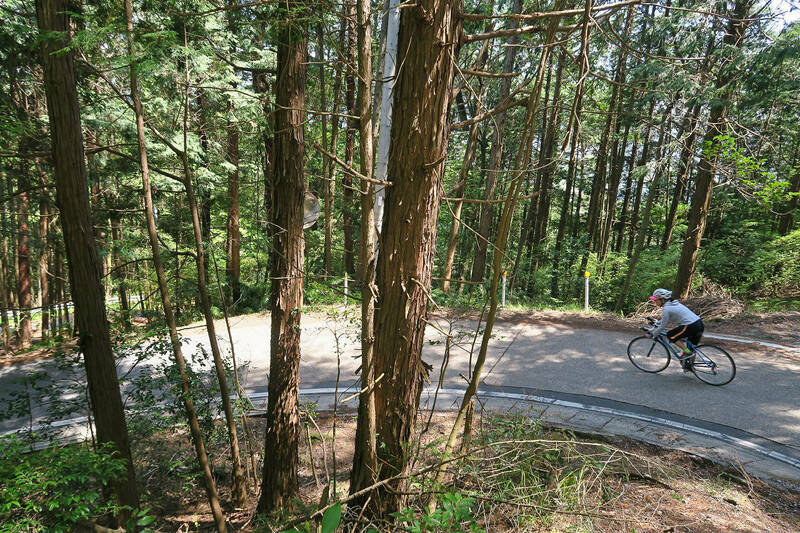 The route will take you over a pass and then down to the Nara valley through forests of bamboo. 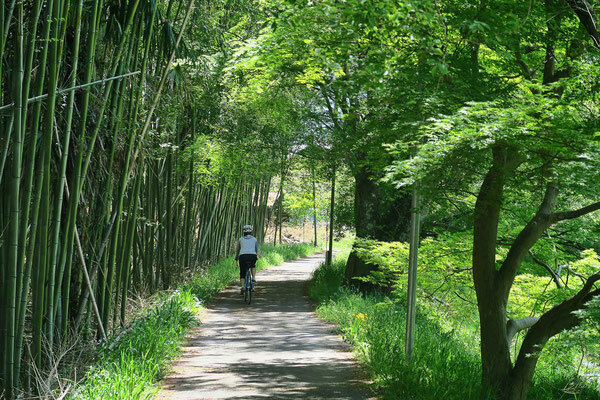 A cycling road which runs along the Uji river will bring you in to the town, famous for the production of quality tea leaves and the world heritage 'Byodoin Temple.' 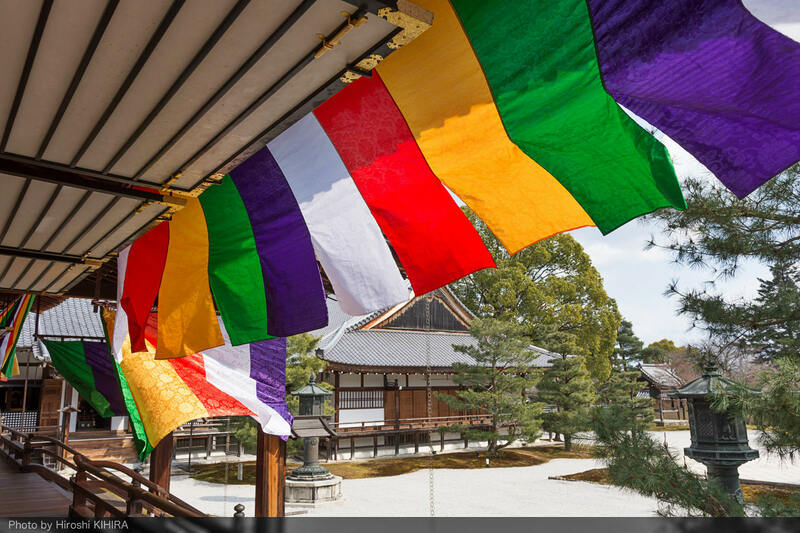 The temple houses the thousand year old Amida-Nyorai Buddha statue. Finish the ride by experiencing a traditional tea ceremony in a local tea house. You will ascend in to the hills along the Uji river and then up to the tea growing area of Wazuka. 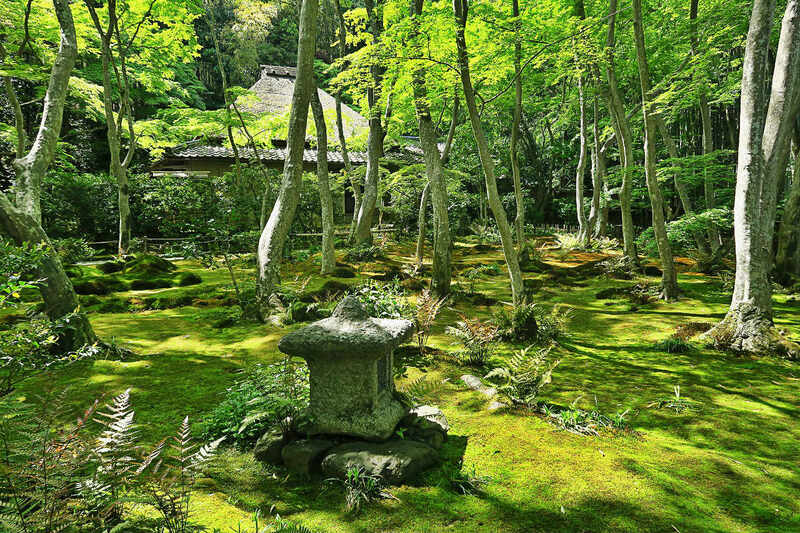 The town has been growing tea for 800 years when Japanese green tea first came in to existence. 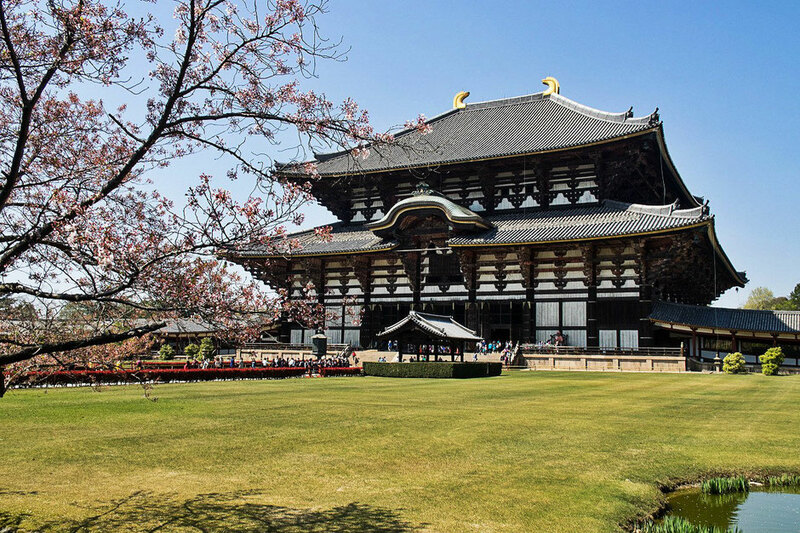 Before riding in to the ancient capital of Nara, you will pass through the Heijo Palace grounds which was the site of the ancient emperor's residence and government offices. The ride finishes by looping around Todaiji Temple which is the largest wooden structure in the world. 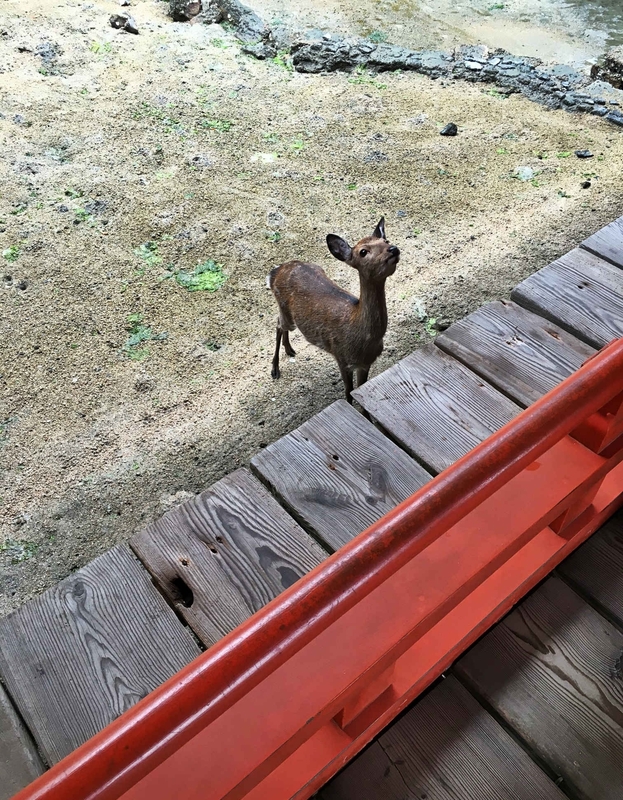 Around the temple grounds roam deer who are regarded as the messengers of the gods. Ride back in time to feudal Japan. You will make a loop of the Nara valley and lunch in the historical town of Imaicho. In feudal times it prospered as it was on the trading route to Osaka. Try some sake at a local distillery in one of the three hundred year old buildings. On the return journey, ride to the 7th century Yakushiji, which is one of Japan's oldest temples. It contains a statue of 'Yakushi Nyorai' which is a Japanese national treasure. Ride to the castle town of Sasayama along the valleys west of Kameoka. The castle was built by Tokugawa Ieyasu who was the first shogun of the Edo period and the founder of Tokyo. Explore the castle and the adjacent samurai homes. Have lunch at a sake brewery and try the local specialty boar stew. The sake is brewed to the harmonious vibrations of classical music to refine the final taste. Ride back to the hotel and finish the day soaking in the thermal hot spring. Choose from two riding options that will take you to the centre of Japan's former capital of Kyoto. 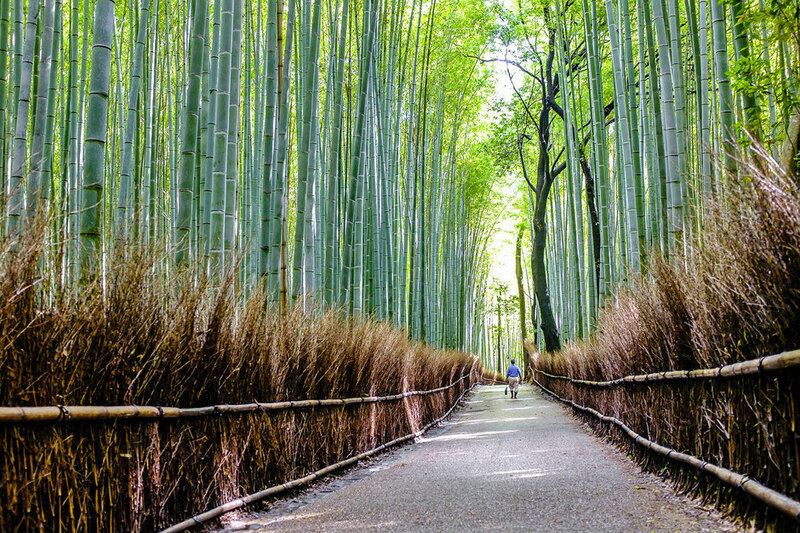 The long route will take you in to the forested mountains of Kyoto's north before descending an ancient road in to Arashiyama on the outskirts of Kyoto. 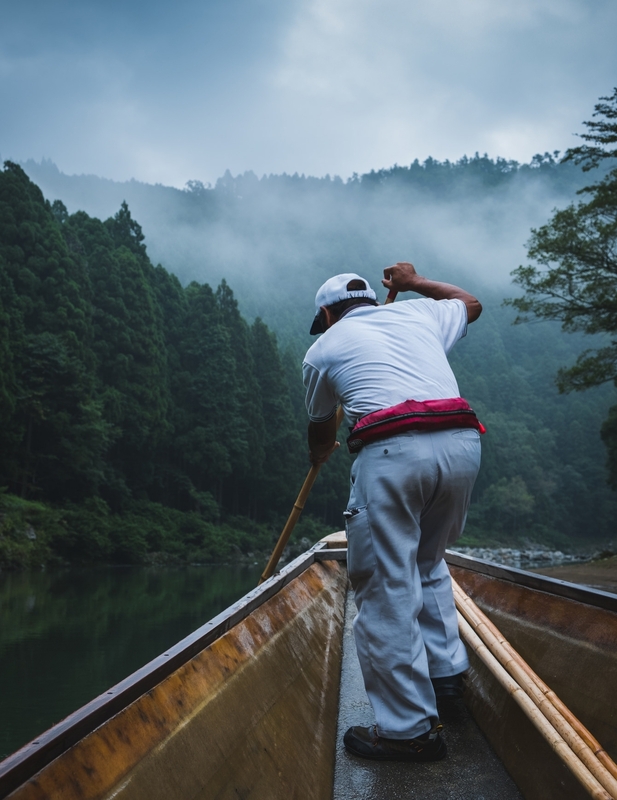 The short route option you will ride to the Hozo River where you will cruise down to Arashiyama on a traditional boat piloted by an oar and bamboo pole. You will find the bicycles waiting at the end of the cruise to continue your cycling journey. Both options will take you to the former palace of Emperor Saga built in the 8th century, where you can feel the ancient court atmosphere.